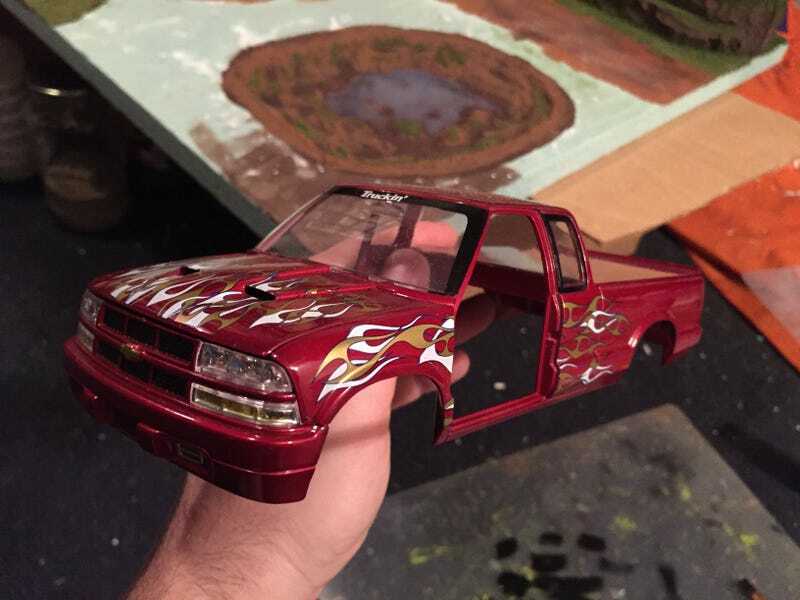 Since the flames on this 1/24 S-10 won’t go away easily, I’m seriously considering ripping the paint off and starting new. The real question is, what color should it be? There’s only one constraint, the front grill and bumper are plastic, not metal. So I can’t strip the paint off of that. I can paint it a darker color....I think...I’ll find out eventually. So what color should I consider making this S-10?